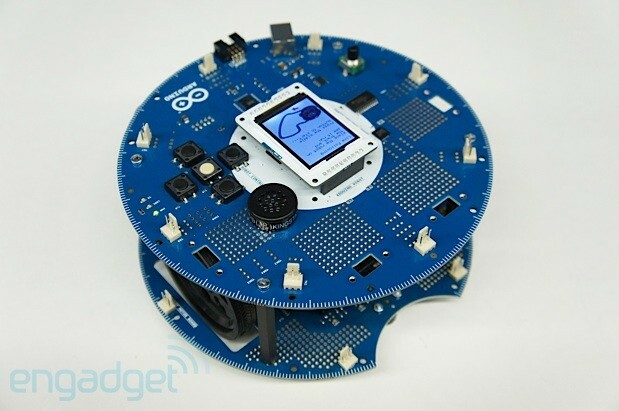 There's a new kid on the Arduino block, and it's called the Arduino Robot. 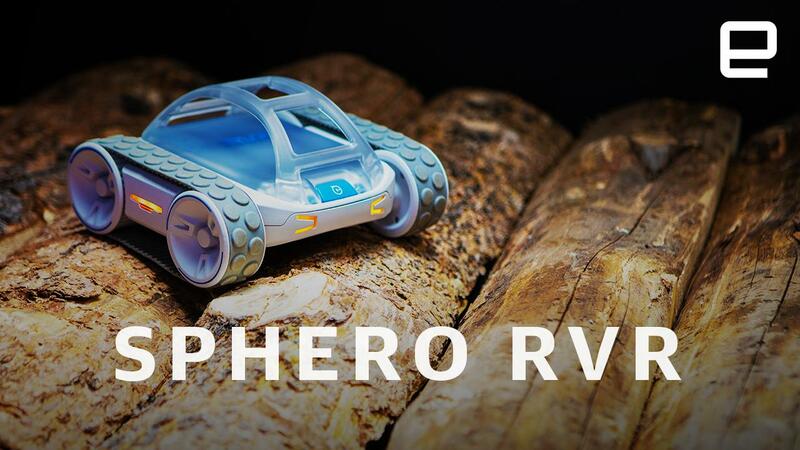 Launched yesterday at Maker Faire Bay Area, it's the company's first product that extends beyond single microcontroller boards. The Roomba-like design, which we first saw in November 2011, is the result of a collaboration with Complubot. It consists of two circular boards, each equipped with Atmel's ubiquitous ATmega32u4 and connected via ribbon cable. The bottom board is home to four AA batteries (NiMH), a pair of motors and wheels, a power connector and switch plus some infrared sensors. By default it's programmed to drive the motors and manage power. The top board features a color LCD, a microSD card slot, an EEPROM, a speaker, a compass, a knob plus some buttons and LEDs. It's programmed to control the display and handle I/O. Everything fits inside a space that's about 10cm high and 19cm in diameter. Pre-soldered connectors and prototyping areas on each board make it easier to customize the robot platform with additional sensors and electronics. It even comes with eleven step-by-step projects and a helpful GUI right out of the box. The Arduino Robot is now on sale at the Maker Faire for $275 and will be available online in July. Take a look at our gallery below and watch our video interview with Arduino founder Massimo Banzi after the break. When Tyler DeAngelo asked if we'd be interested in checking out his new project, we jumped at the opportunity. After all, we were pretty blown away with Fifth Avenue Frogger, his hacked arcade cabinet that incorporated real-time webcam footage of a busy Manhattan street into gameplay. 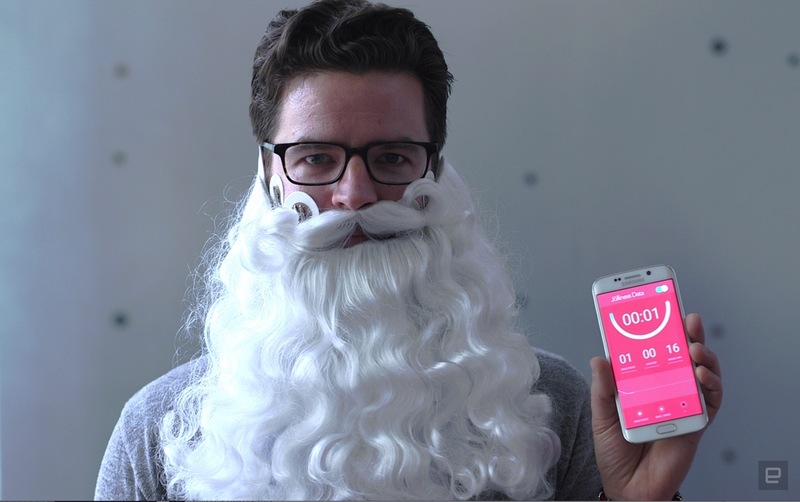 His latest project, Check 'N Chew certainly has more apparent commercial applications, offering up a form of immediate gratification for social media users. The concept is fairly simple: check into Foursquare, get a gumball. DeAngelo has hacked an off-the-shelf gumball machine with a stepper motor, Arduino and an XBee radio. There's also a port on the rear of the machine that plugs into a wall to power it all. The Check 'N Chew communicates wirelessly with an ethernet-to-wireless gateway device. When someone checks into an authorized location, information is sent from DeAngelo's server to the gateway, and a gumball is dispensed. The whole process is quite speedy, only taking a couple of seconds from Foursquare check-in to gumball dispensing. 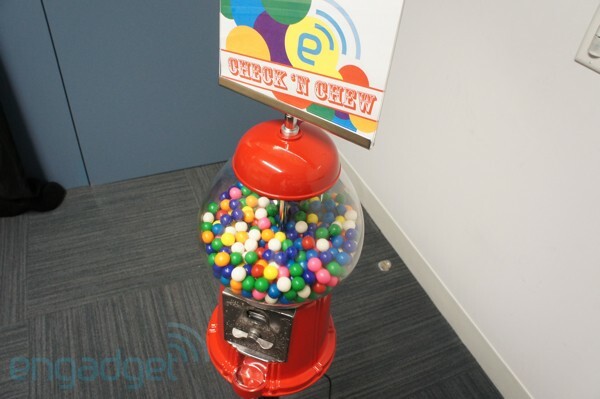 Check 'N Chew Foursquare-enabled gumball machine hands-on (video) originally appeared on Engadget on Thu, 16 Aug 2012 17:59:00 EST. Please see our terms for use of feeds. Everyone knows that their game consoles, appliances and HDTVs are energy vampires, and while Energy Star-certified products tell us which gadgets are more green-friendly than others, we still don't know just how much juice they're actually sucking down in a given day. Enter Sassor, a start-up from Japan that's created a system to monitor the electrical consumption of anything plugged into a wall outlet -- from PCs to refrigerators. 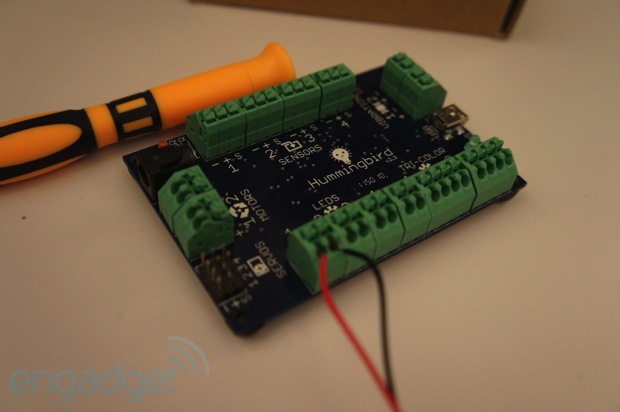 It tracks power consumption using current sensors clamped onto power cords, which communicate wirelessly via ZigBee with an module (based on an Arduino design) that uploads the info to the cloud. Through the web portal, users can track energy consumption on a per-device basis in real-time, letting them figure out which gadgets are most responsible for their sky-high utility bill -- and take appropriate steps to correct the problem. Currently, it's aimed solely at businesses, but once Sassor's on its feet, funding-wise, the plan is to also put them in people's homes. The company told us it'll ditch ZigBee in favor of a WiFi solution in such future iterations, and it'll make an SDK and the system APIs available to all so that people can program for the platform and improve it in ways currently not contemplated. Alas, there's neither a timetable nor a price for the consumer version just yet, but you can see some pictures of the hardware's innards below. 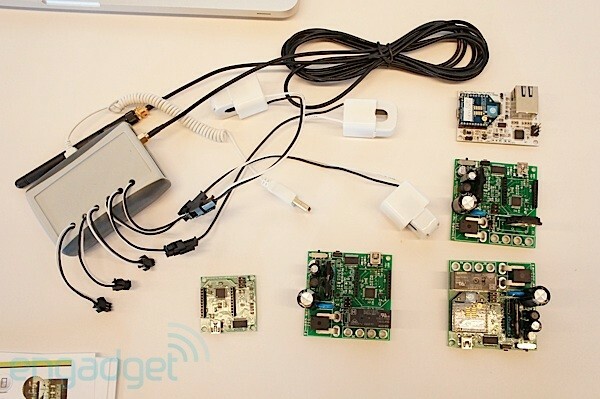 Sassor wants to let users know just how much electricity their gadgets are wasting (hands-on) originally appeared on Engadget on Mon, 18 Jun 2012 21:59:00 EST. Please see our terms for use of feeds. 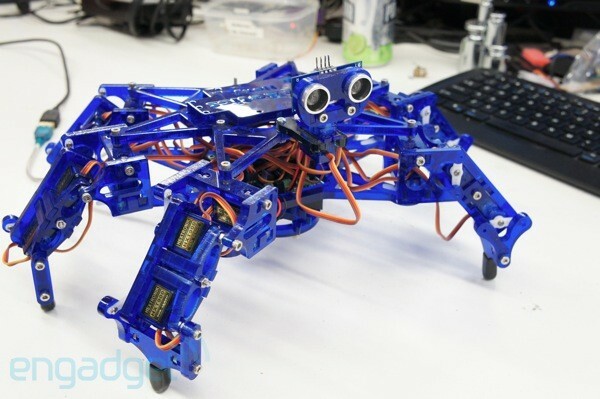 Hexy: hands-on with the adorable, affordable hexapod (video) originally appeared on Engadget on Thu, 14 Jun 2012 18:41:00 EST. Please see our terms for use of feeds. Not far from the bustling labs of Northeastern University is the even more bustling hacker space known as Artisan's Asylum. The roughly 30,000 square foot complex is home to more than 100 makers, tinkerers and artists who building all sorts of crazy contraptions. One of the less ostentatious projects being worked on within its cavernous halls though, is the Rascal Micro. 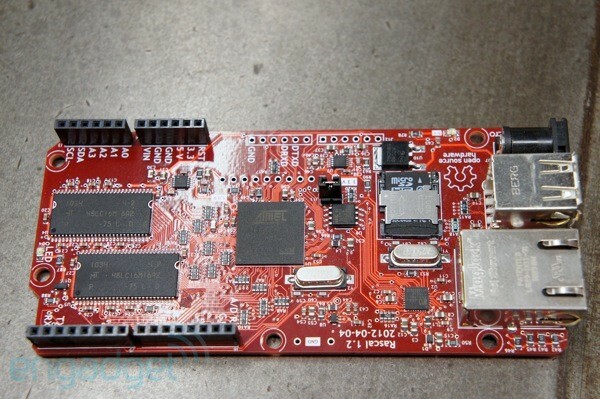 This tiny board is home to an ARM-based SOC and has its hungry, open-sourced eyes on competitors like Arduino and Beagle. Brandon Stafford, the creator, boiled down its primary selling points to this: "it's maybe 25 times faster, has 1,000 times more storage." Where as the Arduino excels at making things blink, move or Tweet, the Rascal Micro has enough power to function as a full-fledged web server. 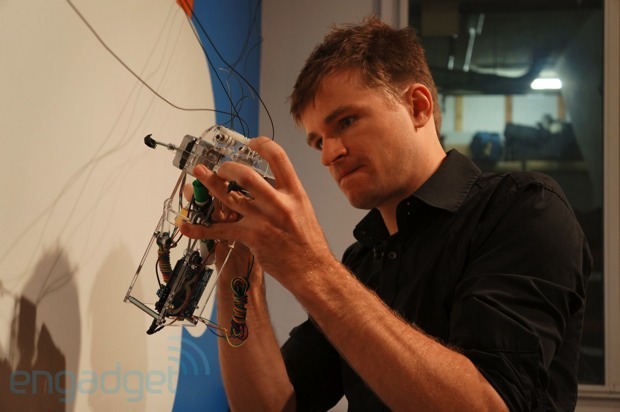 Rascal Micro hands-on (video) originally appeared on Engadget on Wed, 13 Jun 2012 19:30:00 EST. Please see our terms for use of feeds.